Sabrina was born in Iran, raised and educated in London(she has a degree in Ecology from the University of North London) and has lived in Miami where she was an editor of a luxury lifestyle magazine. That’s all before calling California home. 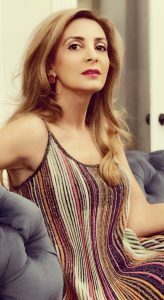 She writes fashion columns and has written for Coast Magazine, Beverly Hills Times Magazine, Montage Magazine, Pacific Coast Magazine, Pelican Hill Magazine, the Los Angeles Times and many more. You can catch her in her element in one of the coffee shops around OC sipping on a cup of coffee and people watching—her favorite hobby. Her blog explores all the things she loves and would actually wear. For requests send an email to: hello@SabiSays.com.